Peter Molyneux is at it again! This time with a massive experiment involving millions of cubes, a mindbogglingly persistent player base, and an almost mythological promise that could only come from the eccentric mind of the infamous game designer. 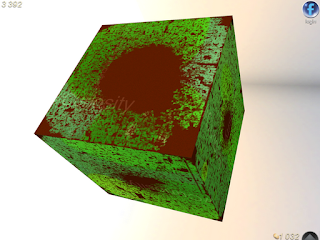 So what is in the heart of Curiosity - What's Inside the Cube? Is it a prize that can literally "change your life", or is it an exploitative train wreck of an experience? Join Scott and I this week as we discuss the always the power of Curiosity. I've missed being able to listen to your podcasts in fear of ruining a few games i absolutely knew i must play but hadn't yet (and still haven't). But now, I can listen again. And I've actually been 'playing' this too. It's an interesting experiment, but the implementation is SO frustrating and buggy. In the Wired article Peter Molyneux talked about hoping for 10 million players, but the servers couldn't handle 10 thousand? It makes me think that there wasn't much thought or planning put into the prize, either. I am dying to know what he considers a "life-changing" reward, but I also kind of hope the winner never tells us. The mystery is always going to be better than the payoff. If I had to guess, though, I'd put my money on it being a job at 22Cans. One of the in-game messages recently reported that the cube was something like 3.4 percent smaller than at the start. If that's true, then it's going to be a long time before we get to the end. As someone who fidgets all the time, even when watching movies and such Curiosity is actually pretty neat. We should try to send each other messages in the cube! If you ever see a random scott.... that's me!